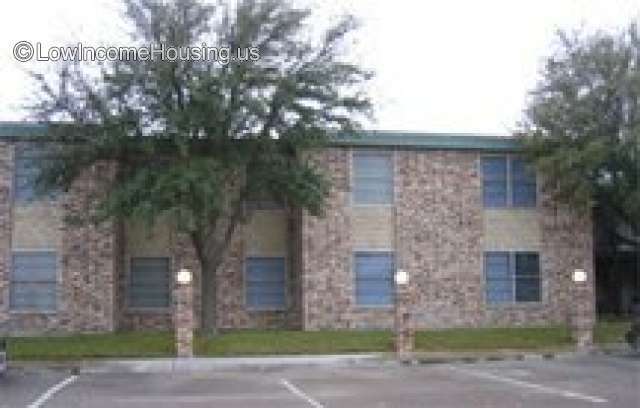 La Vista Townhomes Del Rio is a Low-Income Housing Tax Credit apartment located Del Rio, TX. If you are looking for an affordable housing option, these rental apartments are supported by the LIHTC and having the applicable program rent and income restrictions. The LIHTC gives incentives to builders and developers to provide affordable housing to low income persons. The maximum rent charged is based on the AMI, Area Median Income. This apartment may still be unaffordable to low income persons due to this AMI. Check the current rental rates to see if this is affordable to you. There are 76 low income apartments located here. Most apartments these days have waiting lists. We provide this listing so you can contact them directly at the number provided to see if you can apply and qualify to live here. If you find this listing is no longer low income, or the phone number is incorrect, please contact us using the online form below. TIP: Knowing About LIHTC (Low Income Tax Credit) units for rent. Income from all of the adults expected to reside at this apartment must be included and verified at application time. Call for more details. Contribute! Do you know how much La Vista Townhomes Del Rio charges for rent? Obtaining rental rates for low income housing is difficult as most rates are based on the income of the renter. We created this section so users of our website can see what others are paying for rent at La Vista Townhomes Del Rio. Attention We cannot guarantee the rental costs to be completely accurate. They are displayed for informational purposes for our users. We have compiled prices provided by users and online research. In order to obtain actual costs please contact La Vista Townhomes Del Rio directly. How do you know that is the rent? Interested in this property? Fill out the form below to obtain more details. Are these apartments safe? Family Friendly? Are pets allowed here? What types? Do you know if there is a waiting list? Are utilities included in the price? Want to own this space?